This post contains affiliate links. If you click on a link and make a purchase, I receive a commission at no additional cost to you. Carefully separate the whites from the yolks making sure absolutely no yolk is in the whites. Breaking each egg in a small separate bowl and adding the white to a larger bowl only if the egg yolk stays intact is an easy way to ensure yolk-free whites. Or, do what I did. 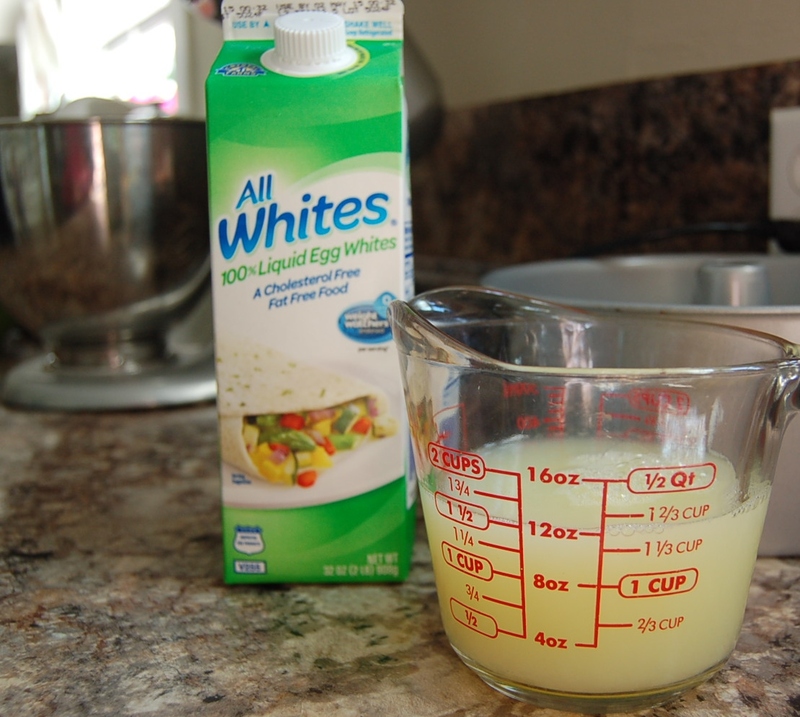 Use egg whites in carton! Simple, right? The best part is that there aren’t 12 yolks for figure out how to use. 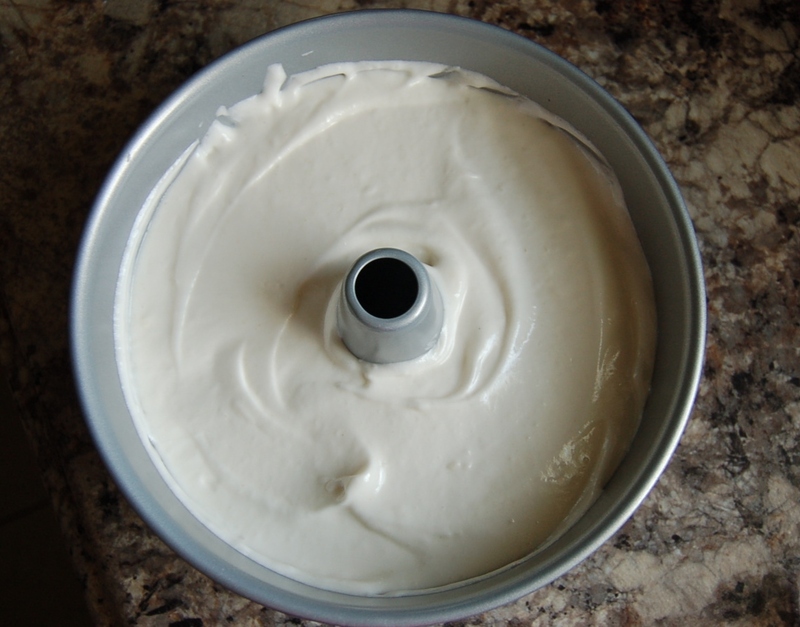 Let the egg whites sit in the mixing bowl until they are room temperature. Go live your life for a little while. When the whites have reached room temp-ish, preheat the oven to 350 degrees F.
In a medium bowl, sift together the powdered sugar, tapioca starch, potato starch, millet flour, xanthan gum and salt. In the mixing bowl with the whites, add cream of tartar and vanilla extract and beat until foamy. 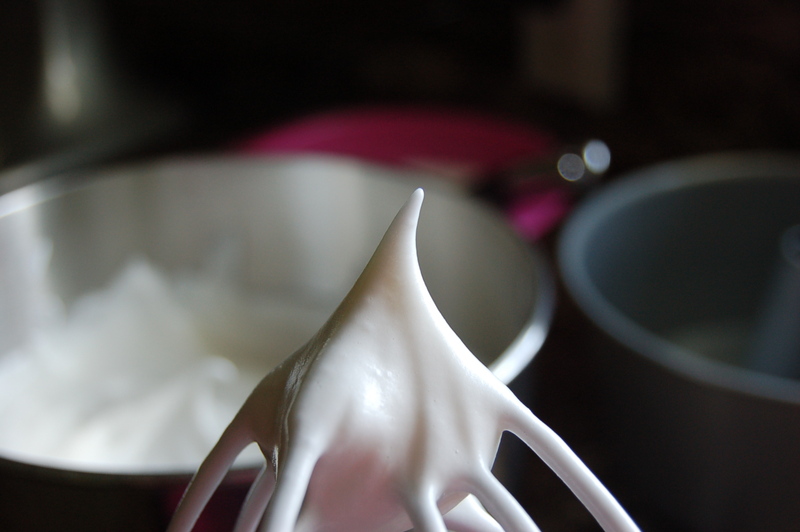 I used my KitchenAid with the whisk attachment, but a hand mixer will work just as well. Slowly add the granulated sugar two tablespoons at a time, beating until stiff peaks form, being careful to not over beat. Gently fold in the flour mixture a third at a time, making sure to scrape the bottom of the bowl to ensure even distribution. Do not over mix. Fold until all the flour is moistened and then walk away. Just walk away. Don’t really walk away. 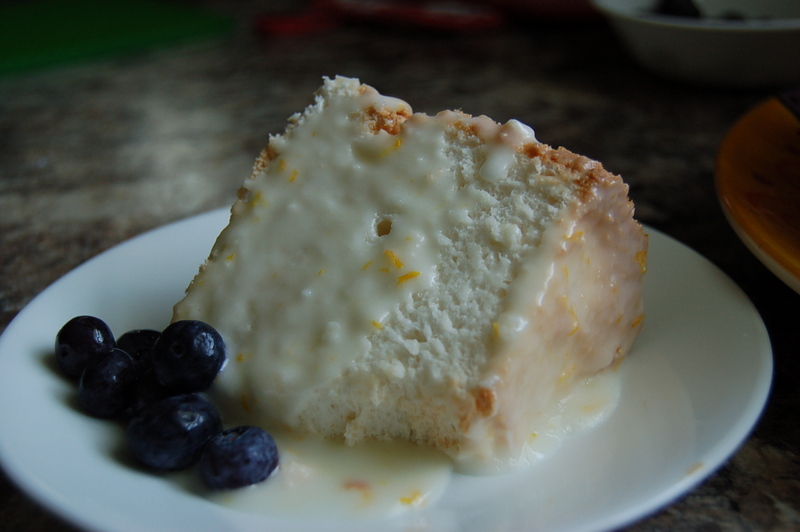 At this time, spoon the mixture in an ungreased angel food cake pan. 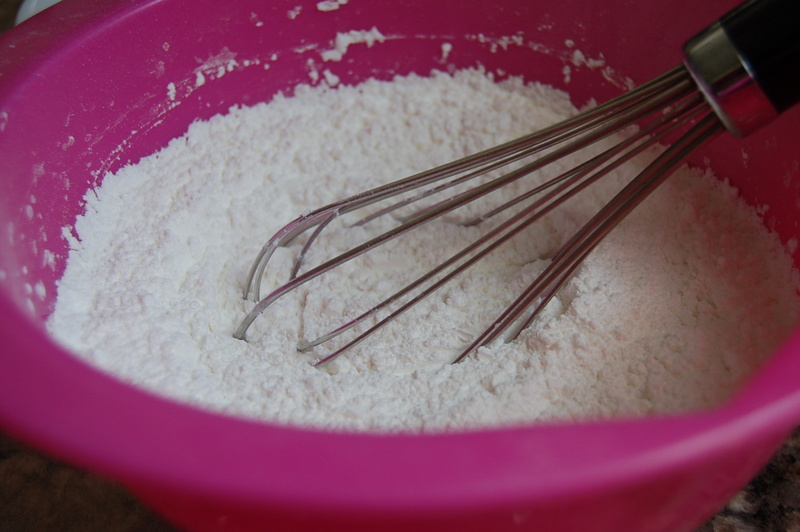 Remove any air pockets by running a metal spatula or butter knife through the center of the batter. 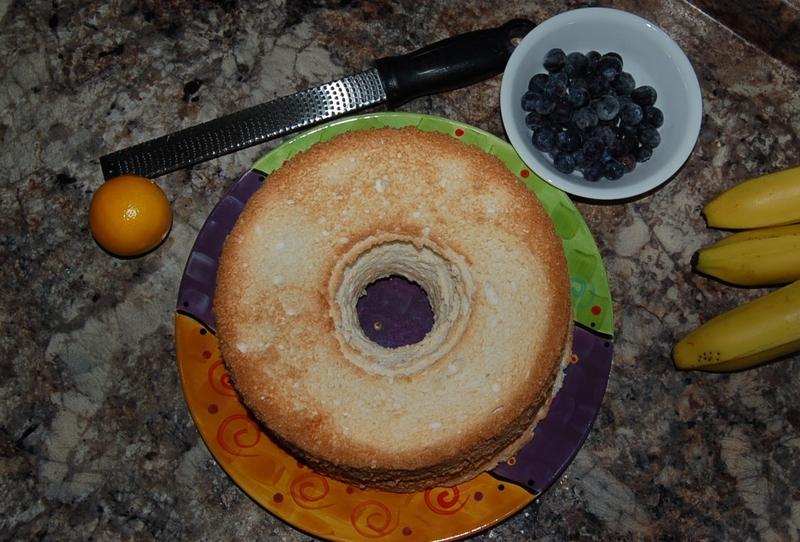 Bake for 35 minutes and poke a wooden skewer in the center of the cake. If it comes out clean, it’s done. If not completely clean, bake for another 5 minutes. Mine took 40 minutes. Turn the cake upside down and let cool for an hour. If you have an angel food cake pan with feet , that’s great! Just turn it upside down on a plate. If your is footless like mine, invert the pan onto the neck of a glass bottle to cool. When cool, run a spatula around the edges to release the cake and invert onto a plate. For the glaze, mix all the ingredients together. Start with a 1/4 teaspoon of lemon extract and add more if your prefer more lemon flavor. 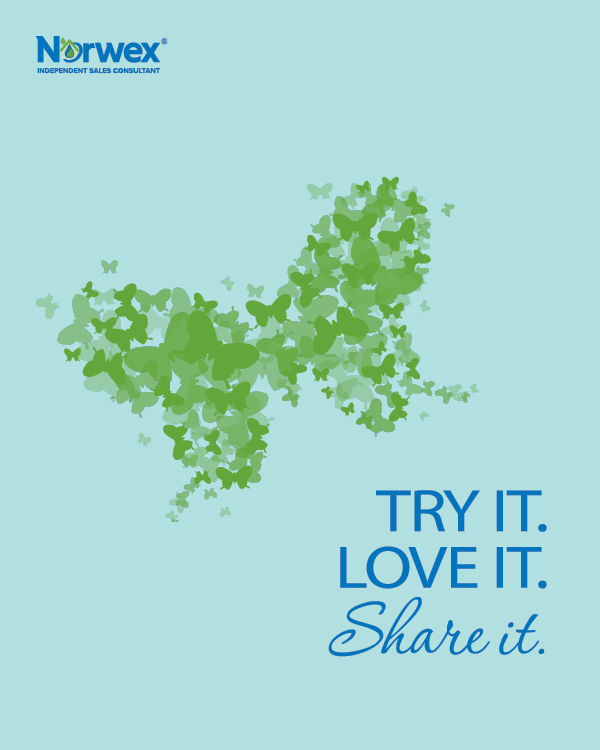 Add your milk of choice, one teaspoon at a time, to achieve the desired consistency. I used coconut milk because that’s what I had on hand, but any milk will do. 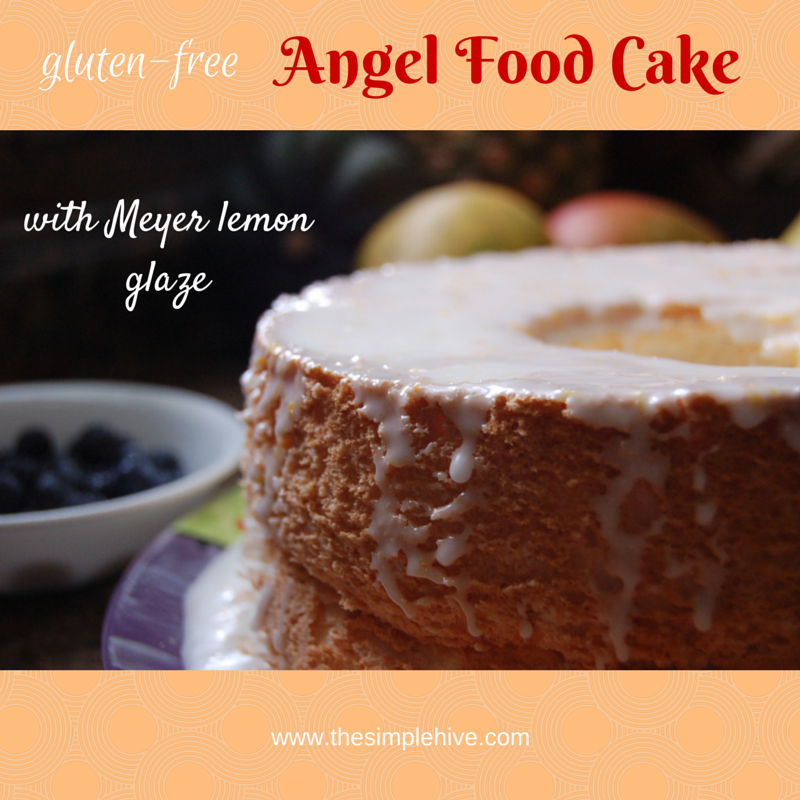 Drizzle the top of the cake with the Meyer lemon glaze and let that sweet, lemony goodness fall down the sides. Serve with fresh berries! 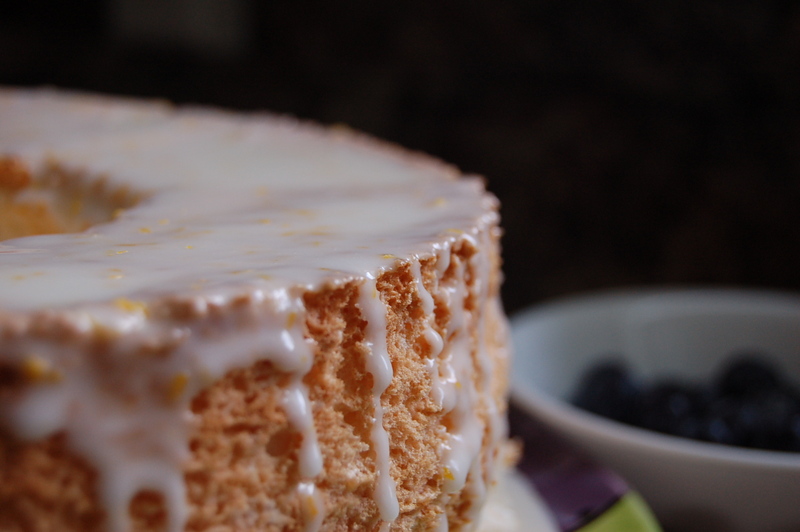 Blueberries are my personal favorite, but you can use whatever floats your love boat!